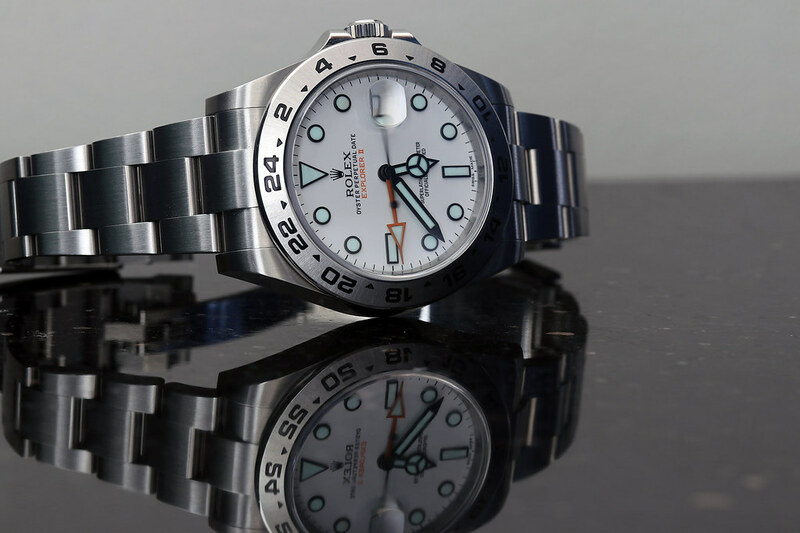 Hi, I was wondering what the community thinks about the Explorer II now that we have a few years under our belts with the new 42mm ref.216570, as compared to the previous ref.16570. 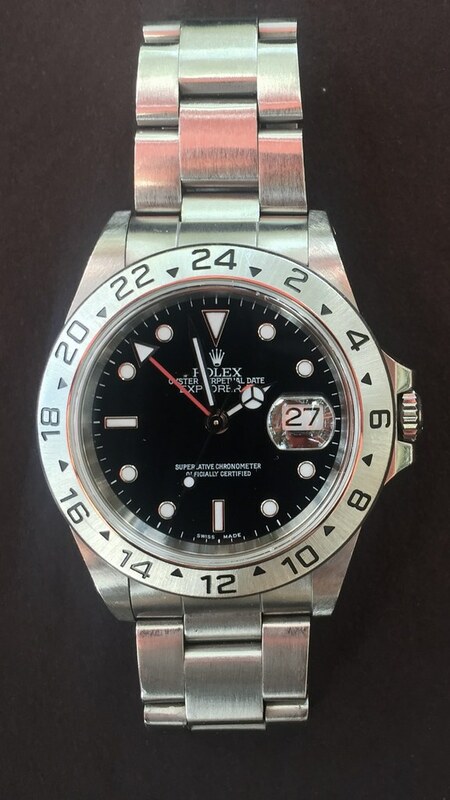 I understand it's all personal taste, but in the collective wisdom of this group, which one is more "desirable" and does a last model year 16570 with a 3186 movement make it more desirable? I prefer the 16570 with a 3186 movement. That's unique, in my view. I'd say that a 16570 powered by a 3186 would be more desirable than one without, but to me, the current iteration is far superior. If find the 42mm size, improved/larger hour markers/hands, stellar bracelet upgrades and nod to nostalgia with the orange 24-hour hand make this a near perfect timepiece. I agree. The current model is probably my favorite watch on the market, from past to present. It really is the perfect daily watch, and super comfortable on the wrist. He asked me if he should get the 3186 version and I said, "Why wouldn't you? There are plenty out there and they're still decently priced." So now I'm going to help him find one. I own a 16570 P serial with lug holes. I bought it a little over a year ago. In the 10 years prior, having owned many many Rolexes, I had never owned an Exp II. I gotta say, I'm still quite happy with it. I'm wearing it right now. That's a gorgeous watch! Many say the white dial "polar" version is more desirable for some reason, but to me, the black face version is the only way to go! It has a more "thougher" look to it. I'm looking for the last year of production to get all the refinements, as well a bump in collectability. I totally agree the latest version is far superior; for example the bracelet. I've always complained about the past designs of Rolex bracelet. But the question is: is it better :)? Your watch in the photo is awesome looking and it looks super unique with the white hands from the black and white photo. The older version I think looks better in a picture but the 42mm version looks better on the wrist. The older version is a little too small for me. 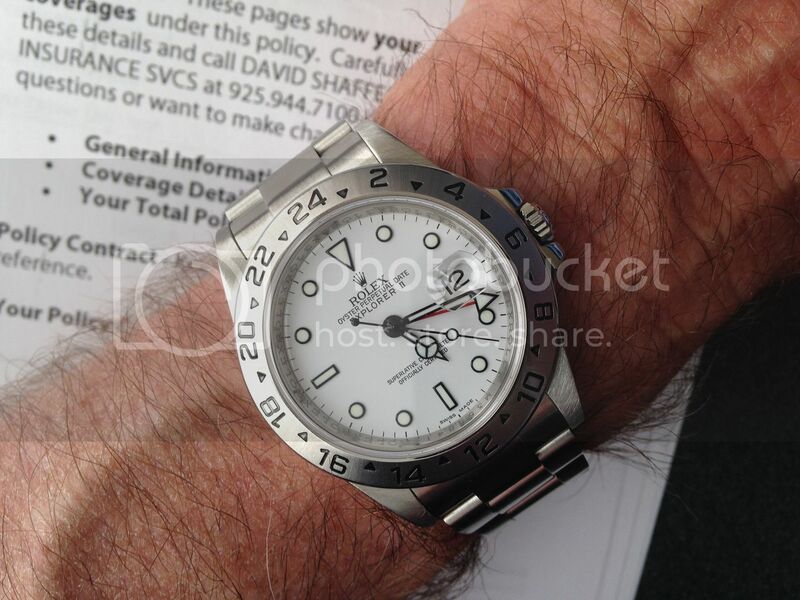 The fact that the bezel does not rotate will always make the watch less popular then the gmt. Though the 16570 with a 3168 is obviously the 'rarest' I think this one is the 'bestest'. The newer iteration just doesn't feel right or look right to me. I tend to be attracted to old-school Rolex and even though I've owned almost all of the newer ceramic bezel sport watches most have been traded away for their predecessors, the Explorer II included. But, hey, that's me. Skinny lugs rule!! I wonder if it boils down to generations growing up with one version or the other. I have that white dial model (an A series with lug holes and SEL bracelet, circa 2000) and really like it. I've never warmed up to any of the newer models (EXP, GMT); the 40mm size and case profile of those oldies just seems right and the dial is very legible without the bigger hands and markers. And for whatever reason, this one with the 3185 caliber has always been the best timekeeper (+1.5 sec/day) of the 6 Rolexes I own. Thank you for the feedback! So far, I'm getting the impression that the older version has a slight edge over the latest version in terms of preference. I had two of the last model and missed them each time I sold one. Picked up the new version in November before spending three weeks in Finland. 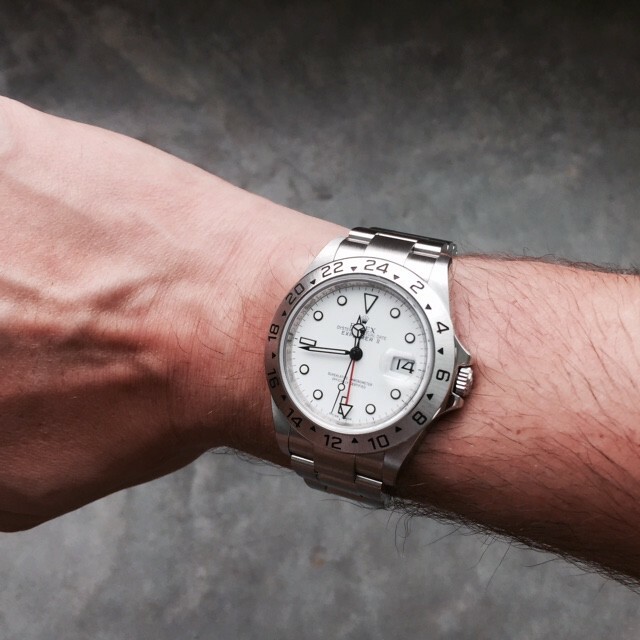 I have to day that the new GMT hand grew on me, and I much prefer it. As Pauli found, you never really appreciate it until is is on the wrist. 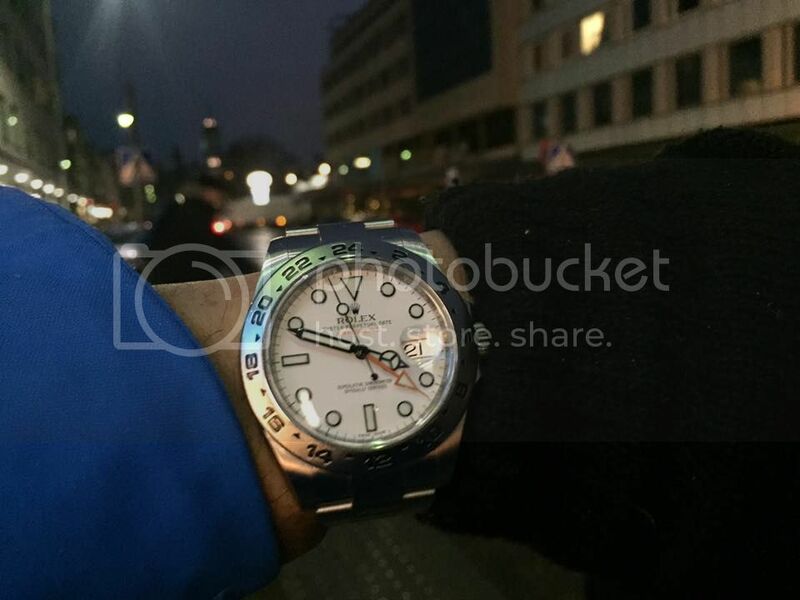 This is one of my favorite wrist shots. 3:50 PM after a 3:00 sunset. I just picked up a late model Polar with the 3186. I love how it represents the last of the 5 digit generation with a next gen movement. Not to mention, it is by far the most comfortable sports model if you ask me. It also represents a tremendous value as far as sports models go. Simply love mine. So then you are saying that someone would prefer the one that they DIDN'T grow up with? The theory we are testing is "I wonder if it boils down to generations growing up with one version or the other." I have an orange hand and you are guessing that I am young meaning that I didn't grow up with the original around. I just want to make sure I've got it correct. Does the newer model have the adjustment for the bracelet where you have the so called summer adjustment or whatever they call it where you can adjust the band easily 5mm? The older model I think has the six or so holes on the clasp that you can easily move the pin back and forth on. I much prefer the clasp with 6 or so holes you can move the pin on. It gives more adjustability. Now if the newer version had the clasp adustablility like the submariner I would get the newer model myself. Rolex should at least give the option of having the clasps with the submariner type adjustablilty on many of their models. It took them years to make the minute hand longer on the Explorer 1 which was so obvious it should have been done. So Rolex often does move very slow or not at all. I can not figure out why they are not a little more proactive on certain things. The new clasps still offer that fine adjustment that you are talking of but also add the 'comfortlink'. Thank you for the reply. How many holes do the new clasp have to adjust plus the easy link. It seems like there were just two or so holes not six or so. ..there are three indentations (on the inside of the clasp) for additional bracelet extension. They are not holes 'per se', so no more using a toothpick, lol, to do the micro adjustments as on previous generations of Rolex bracelets. You will need a special tool. Thank you Rick for the information. I guess I like the older versions with all the holes. The old explorer 2 always left me a little non-plussed. Kind of like a JV version of the GMT2, but available with a polar dial if you like that. The explorer 42 completely stands on it's own and is one of my absolute favorite watches. The size is at the limits of what my wrist can handle but one day I might wind up with one in my collection.